It has been a long time since I wrote my original post, on balancing a job with Fibromyalgia. Since that time much has changed, both in my general life, but also in a decline in my health. 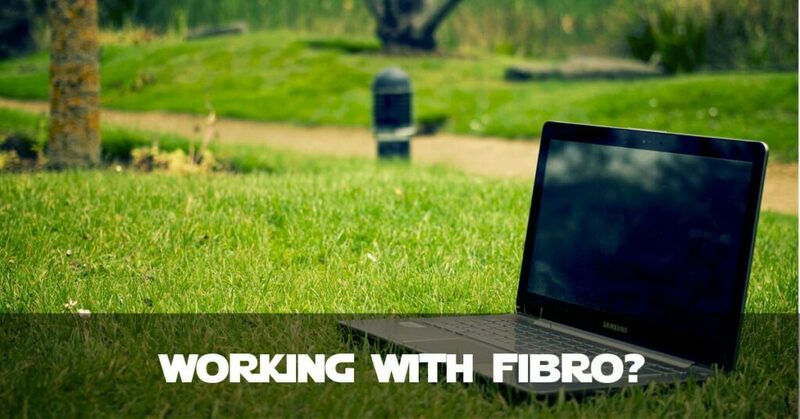 Instead of re-writing the original post, I thought I would leave it in place as a ‘way marker’ and do an update entitled Working With Fibromyalgia. Which Fibro Symptoms Have Got Worse? In order to understand what can get worse, it might be handy for you to look at What is Fibromyalgia?, especially if you’re new to this blog or have first found me through gaming. Fibro (as it is often referred) is a complex, mostly “invisible” illness. Only those closest to me can tell by looking at me how I feel, because for the most part it has no outward signs. Pain Levels: although I have started coming off medication, my pain levels are getting worse and it’s not to do with the medication I have come off. This is because the huge increase has happened in the last 2-3 weeks and I haven’t reduced any tablets in that timeframe. My pain has got to the “nearly crying” stage multiple times in the last few weeks, including the day I wrote this blog post. Chronic Fatigue: I feel like all my energy has been drained away from me. Unfortunately, being fatigued does not mean I am able to sleep. I am getting 8-10 hours of drug-induced “sleep” (it’s hard to sleep if I don’t take my night time medication). The result of this is I can’t do much that involves physical effort (e.g. housework, which I used to do about 50% of). Anxiety: although I’ve always been a nervous person, whenever I’ve tried to work in the last couple of weeks, I get what can only be described as an “Anxiety Attack”. My muscles twitch like crazy, heart rate rises and thinking just becomes near-impossible. This is a new experience for me and is a distressing and disturbing experience. How Does that Affect Working with Fibromyalgia? In short, my symptoms increasing makes work ridiculously challenging. As my Fibromyalgia pain usually starts in my neck and shoulders (and often also my collarbones), it is really distracting. A tense body leads to a tense mind. And if I’m not careful, or my medication doesn’t work properly, then the pain can migrate into my head. The Chronic Fatigue, is probably much worse than pain, because if I feel shattered, then I don’t have any mental energy. As my work involves mental effort (coding, data analysis), if I can’t get my mind to work then I can’t do my work. Coupled with this is an increase in Fibro Fog, both in intensity and in duration. By the way, this also affects my ability to write blog posts, or engage in coversation. So it’s not just work that is impacted. Anxiety is really distracting. When I have an anxiety attack, it’s irrational worry that prevents me from getting to a relaxed state of mind. I’ve tried breathing exercises, listening to music, doing something different, but the feeling doesn’t go away. Even gaming takes hours before working its magic. Good question. My wife and I are in the process of forging a way forward. As of today (18th November) my doctor has advised me to not work and to put my health first. I am on a gradual withdrawal from some medication now and my pain is too high to cope with other people’s expectations and deadlines. I’ve always believed in working for your money, but a season on some benefits seems to be on the horizon. This highlights a certain level of pride in me, because of my working-for-a-living principles. But if I have to do that, then that’s what is happening. Working with Fibromyalgia is going to have to take a different form. I’m investigating a new YouTube Channel, but that involves a level of learning to be able to produce anything worthwhile. And I need to find a niche with an audience. And I need to get the right software working! Growing a blog for ad revenue, in the age of Ad Blocking, means I have 2 blogs with a total of about 18,000 visitors/month and Google kindly gives me £9/month. don’t get me wrong I love doing this blog and will be continuing it, but it won’t be a source of funds to pay the rent on our home! I’m not looking for advice with this post (though any ideas on income through blogging etc would be welcomed). With Chronic Pain there are as many unique outcomes as there are people who suffer. That means there are as many unique approaches to combatting it. I wrote this to clue you, my readers and friends, as to where I am now at. I will need to gradually find some way of working with Fibromyalgia that doesn’t put me under pressure or stress. But as of right now, I need to try not to worry about paying rent, and try to just do what my body needs. Which is as little movement and stress as possible.